Paternity law refers to the legal relationship between a father and his biological or adopted children. This law deals with the rights and obligations of both the father and the child to each other as well as to others. For many, many years, rulings of child custody cases were largely based on a gender-biased system. Mothers typically received full custody of children in any divorce case unless they waived their rights or there was serious evidence of neglect or abuse on the mothers’ part. Fortunately, this has changed a great deal over the last decade. Georgia law now supports and encourages equal rights for fathers who are seeking child custody and visitation rights. A child’s best interests must always be the priority for any custody case. 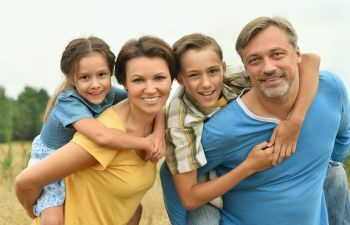 If the best interest of a child includes both parents being involved in the child’s life, or if the best interest of a child is under the father’s guardianship, Boudreaux Law Firm is here for you. Our experienced paternity lawyer can defend your paternal rights in a court of law with evidence that you should have legal and physical custody of your child and/or fair visitation rights. Establishing paternity is called legitimation within Georgia law. For a father who is not married to a child’s mother, or for a man who is contesting paternity of a child, legitimation is necessary to legally establish his parental status and paternal rights. Legitimation also establishes custody and visitation as well as present child support obligations. Fathers are just as obligated to receiving child support as mothers are. If child custody is given to a father, he deserves the same legal obligations that mothers receive. At Boudreaux Law Firm, our family law attorney has the legal expertise to carefully guide you through your paternity rights. If you are involved in a child custody battle or are seeking legitimation to gain visitation rights, contact us today. We want to give fathers a winning chance.